Short Essay – What Happened to Quiet? | It's the Women, Not the Men! I know. I’ve heard the saying, “If it’s too loud, you’re too old.” And, since the phrase has been around since rock n’ roll was created, I’ve probably said it more than I care to remember myself, while blasting my radio. But, loud music is not the point of this post because blaring music is a right of passage for most young kids. It’s exhilarating! It’s fun! And thankfully, they will outgrow it. 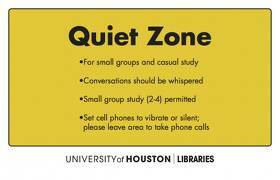 The “quiet” I’m talking about is more institutional. The “Silence is Golden” kind of quiet. The respectful, mature, hushed tones, type of quiet. The quiet that was not just reserved for funeral parlors and libraries. The quiet that was given graciously to those around you, whether they were strangers, associates, acquaintances or friends. Libraries didn’t need to post signs like this. There was a time when silence in public places was a sign of civility and maturity. It represented the care and consideration that Christian people had for one another. It was a demonstration of the personal self-control, upon which civil society as a whole, functioned. It reflected a commitment, by Christian strangers for Christian strangers, to sustain a public presence of dignity, politeness and kindness towards each other despite the venue. Christian kids were taught to be quiet, at home. Being loud in public was considered the height of all rudeness, and young children were taught, very early on, how to be quiet in public. Of course, this didn’t apply to playgrounds, but it did apply to school houses, hospitals, public buildings, stores, streets, churches, businesses and nearly every other type of public space. Christians simply did not raise their voices unless there was an emergency because it was considered unnecessary and totally inconsiderate. 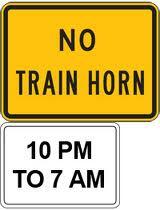 There were signs posted everywhere indicating that silence was required and people kindly acquiesced. The request was never questioned or deliberately disregarded. And unlike today, no one had to explain why quiet was the rule of the day. Everyone understood the enormous advantages a quiet atmosphere engendered. 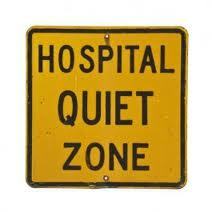 In hospitals, people were sick and needed quiet to recover. In churches, people were praying and needed quiet to hear God. In schools, children were learning and needed quiet to concentrate. In businesses, people were working and need quiet to accomplish their tasks. In museums, people were enthralled and need quiet to reflect. 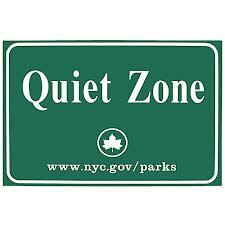 In parks, people were quietly visiting and needed quiet in order to be heard. Today the only quiet you can find is of your own making because the public realm is full of rude, screaming mee-mees. And women are the greatest offenders, because they never shut-up. No wonder hyper-activity among children, and their lack of the ability to concentrate for more than 30 seconds, is so prevalent today. 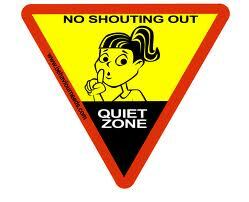 No one knows how to be quiet because no one is reprimanding them for being so disruptive and discourteous. Worse yet, we are turning our young people into undisciplined morons. Who is going to run things in the future? The abrasive, loud, rude, unkempt, losers we see all over America? I don’t think so! 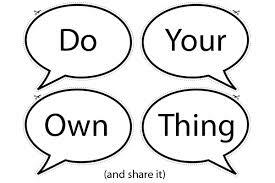 The “Do your own thing”, non-Christian nonsense, which was encouraged during the free-wheeling 1960s, has permeated every aspect of our public and private lives. And, it has proven to be just as annoying as all of the other “liberating” BS adopted during the societal chaos of the 1960s. This irrational idiocy has splintered off huge chunks of Americans from each other. We are no longer bound to each other through the commonality of Christian behavior. We are instead, deliberately abusing each other. Rather than having Christianity direct people’s behavior, we are now stuck with MTV’s directives instead. 1) I was in a European palace converted into a museum. I was admiring the beautiful artwork and interiors in total quiet. Suddenly, 30 children on a class tour appeared all talking loudly at once. No adult accompanying them instructed them to be quiet. It completely ruined the atmosphere. I skipped ahead a few rooms just to keep away. 2) I was in the hospital overnight. I shared a room with someone who blared the TV all night. The hospital staff did nothing. As the medical community constantly harps on the importance of a good night’s sleep, how could they tolerate this nonsense? 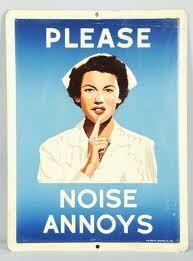 3) I can’t stand hotels anymore because everyone feels entitled to yell and scream at all hours. 4) I hate that dates always have to take place in restaurants because people talk so loudly and the restaurants play “music” unnecessarily loudly making conversation even harder. 5) I had a neighbor who would use powerful bass speakers even though we were living in an apartment building where people must live in close proximity. Does it not occur to people that speakers designed for nightclub use are not appropriate in such a living situation? I don’t want to live in the third world. I want the USA to be an exemplar of civilization as its founders intended. Sadly, I think the feminists have shown remarkable efficiency in destroying our civilization. Thank God for you Ms. Duane! I couldn’t agree with you more! Silence is not only golden, it’s an essential sign of common courtesy which is indicative of a Christian civilization. Thank you very much for your comment.